Come April and I will be a harried soul! You ask WHY? Because I will be participating in A-Z blog challenge that’s why! First time around that is last year, I had chanced upon Blogchatter and the April challenge. Me being me, who at times takes the Nike tagline ‘Just do it’ too seriously, signed up without putting any thought. The result was me rushing through the reminder of March managing, blog, work, kids exams and many other things! This is my second time and I really wish to plan and stay on top of things. An important reason for this is that I want my posts of April to not only be consistent and help me improve as a blogger but I also want my posts to be educational and impact small businesses and personal brands. As a digital marketer I work with small brands and personal brands to improve their visibility and impact. I have however seen many take advantage of such entrepreneurs by short selling them or fleecing them just because they find digital marketing overwhelming and don’t really know what to look for. 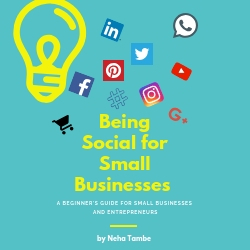 I hope with this series, I can create an impact and offer a roadmap for such small businesses to know what they should be looking for and the important tipping points that can help them improve their business online. I also believe that I can collate all my thoughts and come up with a structured e-book that will help establish me as a brand! So you can say, I am trying to help other brands while finding ideas that will help me be a brand! I believe that anyone coming to my blog should be certain that there will be some kind of knowledge take-away and not just random thoughts. Be it the career related series like #LearnNotEducate or inspirations for stay at home moms via #FreelancerFriday, I have always focused on offering something that is not easily available. 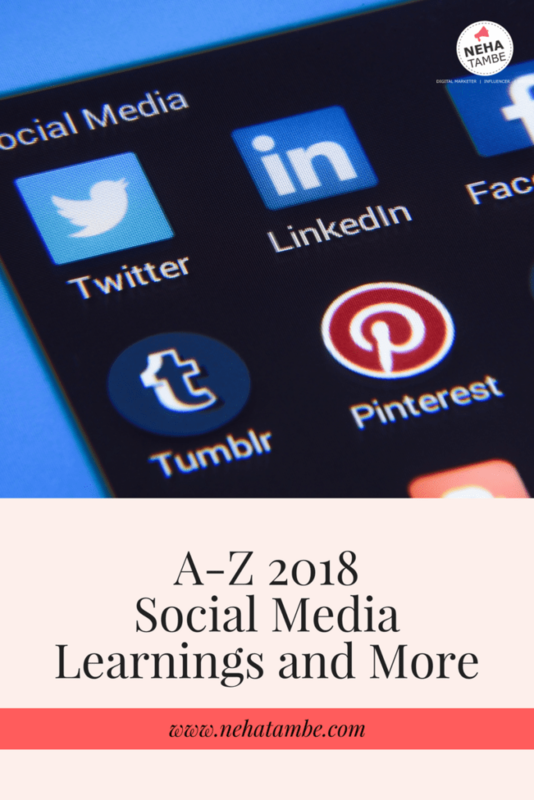 With A-Z 2018, I wish to do something similar in the field of digital marketing. This sounds like just the right thing to be up on your blog and would make for an very knowledgeable and unique reading! All the best for the challenge Neha and look forawrd to seeing you there. That will be a valuable help for small businesses. E-book is a wonderful idea. Best of luck for the challenge. All the best to you and looking forward for your posts!!! I have been quite interested in digital marketing and probably be the first one to buy your ebook. Best of luck! Thats an amazing initiative. I agree the digital space can be an overwhelming one for an outsider and there is a need for genuine marketers who can support small business to maximise their online traction. That’s a great theme and we will have the opportunity to learn about social media from a digital marketer herself. A different theme and I am sure I will get to learn a lot too. Best wishes. Neha, your initiatives are very creative and helpful, looking forward for your A to Z series.